Address: 694220 Sakhalinskaya obl., Poronaysk, Naberezhnaya St., 15. 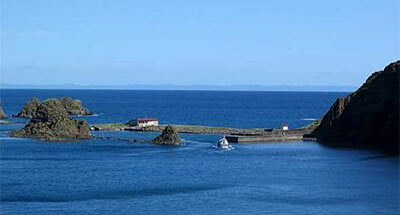 Zapovednik Poronaisky, in Poronaisky District of the Sakhalin Region, was established in 1988. It consists of two parts; the total area is 56,7 thousand ha. 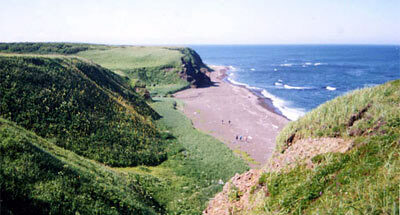 The Zapovednik is located in the eastern part of the Sakhalin Island within the widest part of Tym-Poronaiskaya Lowland and the southern part of the Central Ridge of East-Sakhalin Mountains. The highest elevation is 350 m above the sea level (Vysokaya Mountain). The rivers and brooks are of the mountainous type. 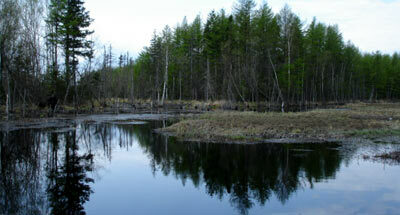 The Zapovednik lies in the District of true moss dark coniferous forests, spruce prevailing. At higher elevations, spruce-fir forests are replaced by spruce-fir-birch stands. The flora, typical of dark coniferous forests of the Far East, is not rich due to the harsh climate. On the seashore meadow plants grow; thickets of Rosa rugosa are characteristic. The northwestern part of the Zapovednik is covered with mires. In the fauna of the Zapovednik woodland part taiga species predominate, with an admixture of species typical of broad-leaved forests of Рrimorye. On the rocks maritime colonial birds nest, including the common guillemot, black-tailed gull, spectacled guillemot, crested and least, murrelet, parakeet auklet (Cyclorhynchus psittacula), etc. A large Big bird rookery is located on cape Terpeniya. The Zapovednik is of great importance, being situated on the flyway of birds; about 170 migratory birds stop over there to rest. Some birds winter in non-freezing water of the Terpeniya Bay. The following species are listed the Red Data Book of the Russian Federation: the Sakhalin musk deer (Moschus moschiferu sakhalinensis), Aleutian tern, mandarin duck, osprey, Steller's sea eagle, white-tailed eagle, peregrine falcon. The reindeer, sable, otter, brown bear dwelling in the Zapovednik, are commercially important species.